This week on The TouchArcade Show we kinda forget to talk about things like, say, using our iPads on the toilet. Instead, the first half of our show is dedicated solely to our internal Game of the Year debate. We go through all five of our finalists in detail, and then we reveal specifically what game won and why. If you haven’t noticed, this little bit of information isn’t on the main page just yet, so this is EXCLUSIVE content exclusively for our exclusive listeners. Exclusive, exclusive, exclusive. At the back-end, we do fit in a Kitty Korner for all your earholes. In the second half, we tackle some of this week’s less-than-awesome news and then fly straight into your user questions. Speaking of which, we need more so feel free to fire us an e-mail. 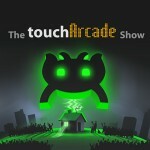 Podcast@toucharcade.com is where to send ’em. We won’t see you again until next week, so we wanted to take the chance to say happy holidays and we wish you the best in the coming year. Thanks for tuning in and being awesome, by the way, and know this: we’re going to rock 2012, dawgs.